ARTESOL 2019 – Call for Proposals. Read more. ARTESOL 2019. Registration is now open. ARTESOL at TESOL 2019. Learn more. Charlas informativas Ingreso a la Docencia de Idiomas – Marzo 2019. Learn more. MOOC on Teaching English to Young Learners starts on April 15. Learn more. TESOL ANPC Monthly Webinar; April 26. Read more. 54th ASOCOPI Annual Conference, October 10-12, Bogotá, Colombia. Read more. 27th Peru TESOL Convention. July 31-August 2, 2019. Call for speakers here. ARTESOL EFL Journal, Volume 2, N°1 has come out! Read it here. ARTESOL ESP Journal, Volume 8, N°1 has come out! Read it here. What is TESOL? by TESOL Past President. Click here. ARTESOL is a non-profit organization founded in 1987. Its mission is to enhance professionalism in English Language Teaching Education in Argentina. In the course of 31 years ARTESOL has been committed to increasing quality and expertise in classroom practice, research, teaching materials design, and professional development. 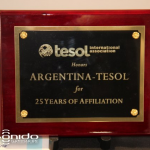 ARTESOL was the first affiliate in South America of TESOL, Teachers of English to Speakers of Other Languages Inc., and is one of more than a 100 independent associations to which TESOL has given affiliate status worldwide. 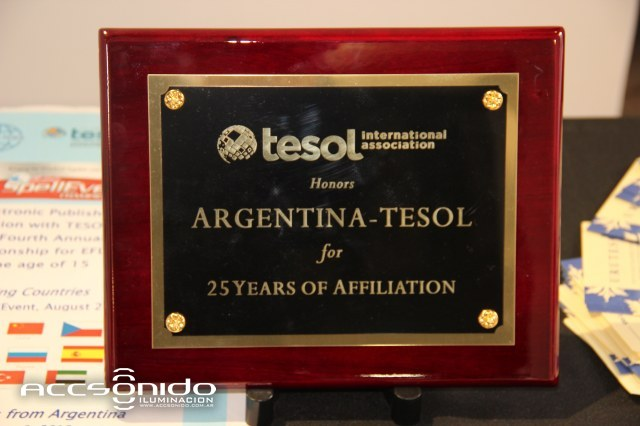 Being a TESOL affiliate has made possible a constant updating of knowledge through permanent connections with professionals from the rest of the world. ARTESOL implements its social purpose by organizing conventions, seminars, and courses, by issuing publications and providing grants. Looking back on the history of the association we are proud to say that some of the most prestigious Teacher Education and Classroom Practice specialists in the field have been keynote speakers at ARTESOL events and have kept close contact with the association throughout all these years. We know there is an enormous amount of work to do in our field, and we encourage you all to have a stronger voice in TESOL decision making by becoming active members of our association.